The Sprint Speciale was produced from 1959 until 1967. 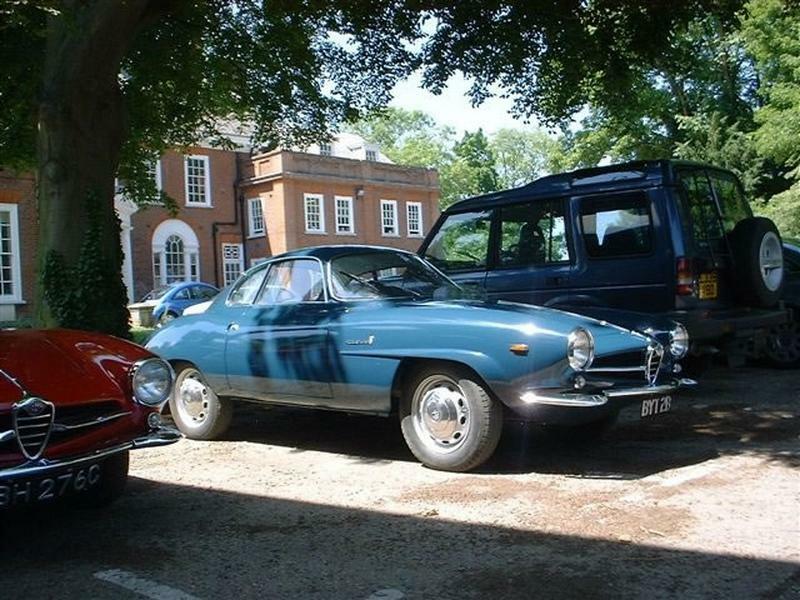 It did however become a Giulia Sprint Speciale half way through its life by the simple expedient of changing from a Giulietta engine to a Giulia engine, but it would take an Alfa anorak to tell the difference between the two engines and they look very similar to the layman. 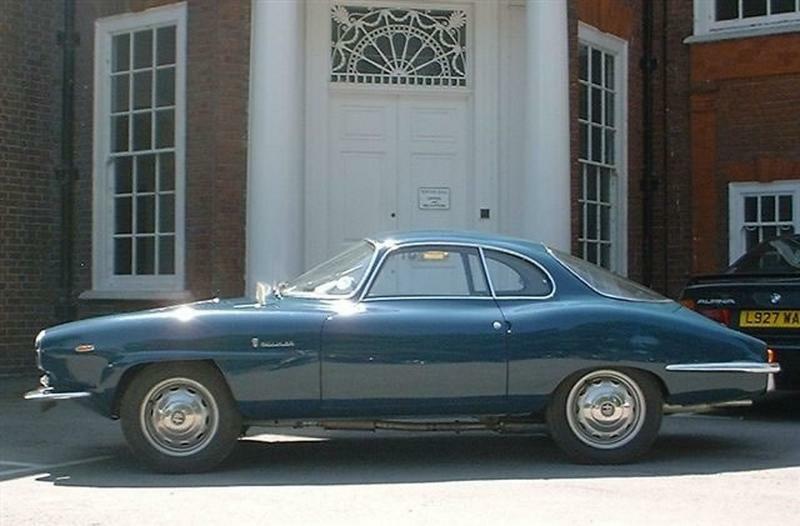 The car was developed from Bertone’s BAT 5, 7 and 9 projects of the mid 1950’s. These stunning aerodynamic projects really are amazing to see and still look futuristic, especially by today’s focus group led car designs. 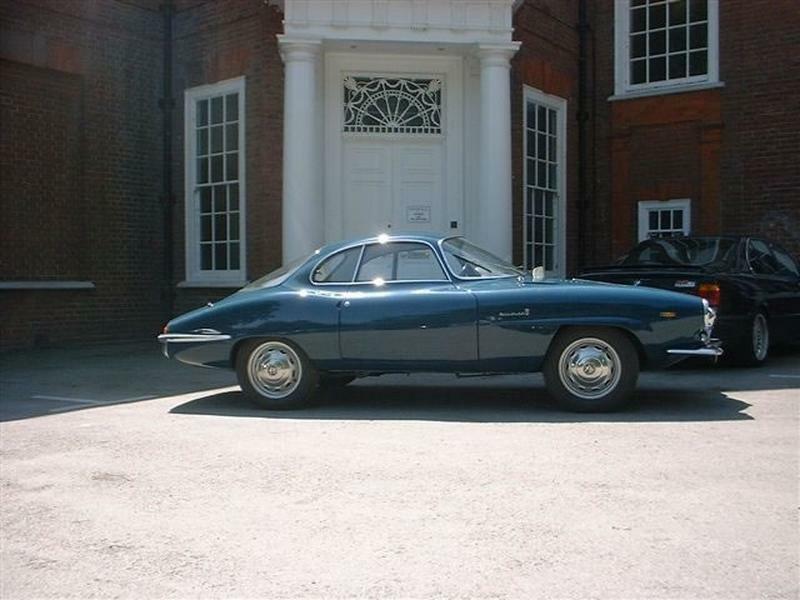 From their experience with these cars Bertone went on to build the SS. The Sprint Speciale was built at Bertone’s Gruliasco factory and was designed by Franco Scaglione. The main aim of the project was to develop a car that was as aerodynamic as possible and in order to do this the car shape was extensively tested using woolen markers and photography. Using these methods Bertone managed to get the drag factor comfortably below the 0.3 CD threshold, giving the car an impressive 200 kph (125mph) top speed in 1300cc form, which is very good even by modern standards. 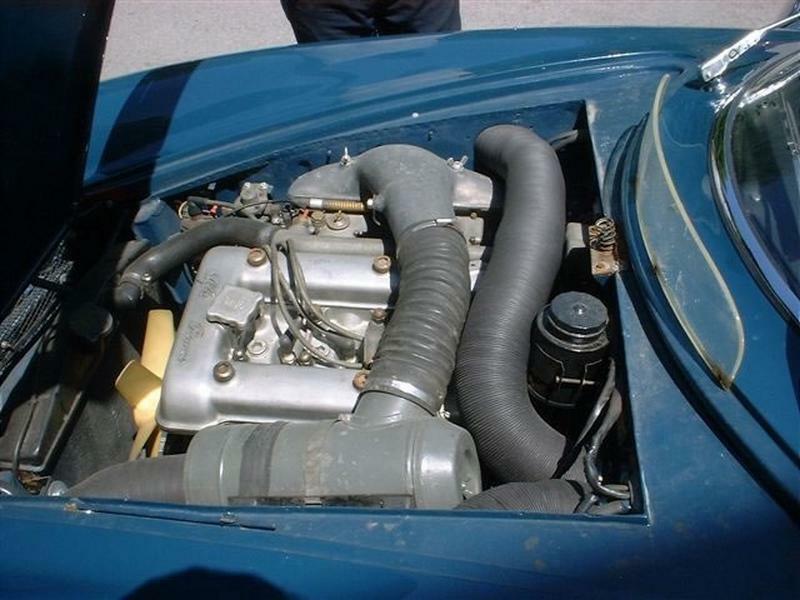 The 1300 engine is a classic Alfa Romeo twin cam with the camshafts placed directly on top of the valves. The valves have a 90 degree included angle on both the Giulietta and Giulia engines. Carburation is by twin side draught carburetors these are fed by an electric fuel pump rather than the engine driven pump usually found on these engines. Ignition is by contacts and only has one plug per cylinder. The gearbox has an alloy case and bell housing and the gears are perfectly spaced for a sporting drive. The gear ratios, coupled with the engines 7200 rpm limit, mean that the magic 100 kph sprint can be achieved in second gear. Suspension is by double unequal length wishbones at the front with a coil spring mounted live rear axle. The chassis is of monocock construction, and on early cars the boot, bonnet and doors all had alloy door skins to reduce weight. The body is a two seater rather than a 2+2, the area which would have been seating on the Sprint is used for luggage in the Speciale as the boot can hold little, being mostly taken up with the spare wheel and filler neck for the petrol tank. As a design the SS is stunning, and for cruising the Autostradas it was fine, however as a sports car it was eclipsed by the sporty SZ as the long overhangs and problematic weight distribution counted against it on the circuit. The design was successful enough to be in production for nearly 8 years and with a price tag of 2,750,000 Lire.